We are not licensed; Medical or Legal Professionals. We are not providing medical, legal, tax, psychiatric, health or fitness advice. WE ARE NOT ADVISING YOU IN ANY CAPACITY. We are merely sharing information with you based on our personal experience.  By using any and/or all information provided on this site, you hold harmless the COMPANY, it’s owners and associates. Medical advise must come from a licensed medical professional who can advise you based on your specific medical issues. Legal advise must come from a licensed legal professional who can advise you based on your specific legal issues. Tax advise must come from a licensed tax professional who can advise you based on your specific tax issues. Fitness advise must come from a licensed fitness professional who can advise you based on your specific fitness issues. Mentoring is not advising. It is offering information on solutions that have worked for us and those we Mentor. You are responsible for your own health. Be smart about the decisions you make concerning your health. YOU SHOULD ALWAYS CONSULT YOUR HEALTH PROFESSIONAL BEFORE BEGINNING ANY DIET OR EXERCISE PROGRAM. The content on the Site, including without limitation, video, auditory (sounds), text, imagery, scripts, files, graphics, photos, (defined as “Content”) and the branding, trademarks, are owned by or licensed to Company, subject to copyright and other intellectual property rights. Content on the Site is provided to you for your information and/or educational and personal use only and may not be used, copied, reproduced, distributed, transmitted, broadcast, displayed, sold, licensed, or otherwise exploited for any other purposes whatsoever without the prior written consent of the Company. We reserves all rights not expressly granted in and to the Website and all Content. You agree to not engage in the use, copying, or distribution of any of the Content other than expressly permitted herein, including any use, copying, or distribution of User Submissions of third parties obtained through the Website. We do not assume any obligation to review the accuracy, completeness, truthfulness or content of any information submitted to the Site by you, other users of the Site, or of companies offering products or services on the Site. Notwithstanding, Company may in its discretion review information submitted to the Site for any purpose whatsoever and it reserves the right, in its sole discretion, to reject any information submitted to the Site for any reason whatsoever. This Site does not intend to market any products or services to minors. Company does not knowingly gather, or solicit data, from minors through this Site for marketing purposes. We will make every reasonable effort to include accurate and up to date content on the Site. Notwithstanding, we provide content for informational & educational purposes only and do not warrant or represent the descriptions of service or other content contained on the Site as complete, accurate, reliable, current or error-free. Certain sections of the Site may allow you to purchase different types of products and services online. You agree to be financially responsible for all purchases made by you or someone acting on your behalf through the Site. You agree to use the Site and to purchase services or products through the Site for legitimate, non-commercial purposes only. You also agree not to make any purchases for speculative, false or fraudulent purposes or for the purpose of anticipating demand for a particular product or service. When making a purchase for a third party that requires you to submit the third party’s personal information to us or a merchant, you represent that you have obtained the express consent of such third party to provide such third party’s personal information. Service may include, among other things, personal improvement related information and services made available to the user through the Site and/or through any other communicative means including but not limited to email, phone, live & recorded audio, live & recorded video, and the like (defined as “Service”). The Service may include allowing the User to access information and content on the Site, which may or may not be related to personal improvement. Allow User to access the Website and the Service through the Website and; include User in any Service related communications including, but not limited to, email, text, phone call, direct mail. The Service may be changed from time to time at Company’s sole discretion. If at any time the User is dissatisfied with any change in the Service the User’s sole recourse is to discontinue the Service. User may not transfer access privileges, or any Company materials to any other party. In the event of any failure on the part of Company to provide the Service, such as the Website being unavailable or not functioning properly, Company shall endeavor to restore functionality of the Service within a reasonable amount of time. In the event that the Service is not restored within a reasonable amount of time, User’s sole recourse shall be to discontinue use of the Service. Materials. User recognizes and agrees that: (i) all materials provided through the Service, including but not limited to videos, audio clips, text, photos, graphics, and the like, are the property of Company or its affiliates, licensors, and the like and are protected by copyright, trademark, trade secret, patent, and/or other intellectual property laws; and (ii) User does not acquire any right, title, or interest in or to the materials through this agreement except the limited and temporary right to use them as necessary for their use of the Service. User will manage their billing information to include; canceling service, upgrading or downgrading service, updating payment information and methods, through their user account located on the Site. In the event user can not access their account on the Site, user may send an email to help (at) biglifehq.com. On the day following the end of any Free Trial the User may be automatically billed for a Monthly Subscription, and shall be billed each month thereafter for a renewal of the Monthly Subscription. User may avoid the first automatic billing and automatic enrollment in the Monthly Subscription by canceling the service prior to the end of the free trial. For Monthly Subscriptions this Agreement will continue for one month after the Effective Date (the “Term”). Thereafter, this Agreement will automatically renew for subsequent terms (“Terms”) of one month, until user cancels the Monthly Subscription via the User Account Management on this Site. Monthly Subscription fees are non-refundable. User may cancel a Monthly Subscription at any time during the month, in which case the Monthly Subscription, and this Agreement, shall expire on the day of cancellation. Any fees paid prior to cancellation will be refunded at Company’s discretion. For Annual Memberships this Agreement will continue for one year after the Effective Date (the “Term”). If an Annual Subscriptions is cancelled within thirty (30) days of initial registration, Company will provide a prorated refund to User with fees being calculated as if User had been enrolled in a Monthly Subscription. After 30 days, no refunds will be given. User agrees that all Subscription Services will automatically renew each billing period until User cancels their subscription via the User Account Management. You may cancel your monthly subscription through the User Account Management. 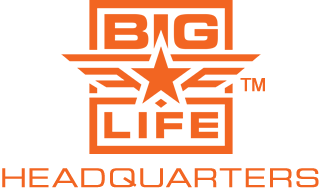 In the event user can not access the User Account Management on the Site, user may send an email to help (at) biglifehq.com with the subject line “CANCELLATION” and providing User’s username in the body of the email. User may also send a written Cancellation Notice to the address listed at the top of these TERMS. User must send a Cancellation Notice either electronically or in writing, 72 hours prior to subscription renewal. Either Party may terminate this Agreement for material breach by written notice, effective in 30 days, unless the other Party first cures such breach. We strive for 100% customer satisfaction and use a very common sense approach to Returns and Refunds. If there has been a mistake we will make every attempt to correct the mistake. If you need a different size/color, we will work with you to get it taken care of. Obviously, we ask that any returns be received in new condition so we may resell the item. We ask for returns to be within 30 days from the original date of purchase. If an exchange is requested, it will be subject to current availability. If you have any questions about availability, feel free to contact us at: admin (at) crimco dot biz. Unless the return is due to an error on our part, shipping costs will be your responsibility. If you are not happy with your product, we will refund your purchase within 30 days of original purchase. Please contact us at: admin (at) crimco dot biz for instructions on processing your request. Unless the refund is due to an error on our part or defective merchandise, shipping costs will be your responsibility. If a cancellation request is received before product has shipped, the order will be cancelled. Once product has shipped, it may not be cancelled and is subject to the Returns/Refunds policy. Contact us at: admin (at) crimco dot biz for any cancellation requests/information. Payments for Retreats, in full or partial installments, are non-refundable. When you place an order for a Retreat, we incur expenses to include facility deposit. Since these expenses are not refunded to us we can not in turn refund them to you. If you are on a payment plan for your Retreat purchase, you may stop future payments for your Retreat order by replying to an emailed receipt or contacting us using the the information at the top of these Terms. Any future payments will be stopped, however payments already made will not be refunded. Please contact us 48 hours prior to a scheduled payment to stop it. Retreat purchases THAT HAVE BEEN PAID IN FULL are transferable. You must make arrangements with us at a minimum of 14 days prior to the Retreat in order to transfer your purchase to another. Retreat purchases made on a payment plan not paid in full, are non-transferable. The BIG Life Adventure Retreats are titled “ADVENTURE” for a reason. There are many type of physical events that by their very nature entail risk to the user (you). Including but not limited to; Zip-lining, Swimming, Boating, Horseback Ridding, Firearm Events, Athletic Events, Running, Climbing, etc. By purchasing your Retreat Ticket and/or by attending the Retreat (if you were supplied a ticket which you did not purchase), you accept all risk as the user and/or participant in any/all activities leading to the Retreat, at the Retreat and upon leaving the Retreat. The BIG Life Retreats will be documented via photography, video and audio recordings. By attending the Retreat, you freely give your consent to the use of your image and voice in any and all photographs, audio and video recordings that arise from the Retreat either before, during or after the Retreat. You agree these images and recordings shall belong to BIG Life and may be used, edited and maintained indefinitely for advertising, publicity, public displays, exhibitions including but not limited to social media. You agree to RELEASE all rights to the photographs, audio and video which contain your image and voice and expressly give these rights to BIG Life for its sole use. You also agree these rights shall remain with BIG Life and may not be revoked by you in the future. You hereby RELEASE, WAIVE, DISCHARGE, AND COVENANT NOT TO SUE BIG Life, their officers, agents, or employees (hereinafter referred to as RELEASEES) from any and all liability, claims, demands, actions, and causes of action whatsoever arising out of or related to any loss, damage, or injury, including death, that may be sustained by you, or to any property belonging to you, while participating in such activity, while in, on or upon the premises where the activities are being conducted, REGARDLESS OF WHETHER SUCH LOSS IS CAUSED BY THE NEGLIGENCE OF THE RELEASEES, or otherwise and regardless of whether such liability arises in tort, contract, strict liability, or otherwise, to the fullest extent allowed by law. You are fully aware of the risks and hazards connected with the activities of The Retreat, and are aware that such activities include the risk of injury and even death, and hereby elect to voluntarily participate in said activities, knowing that the activities may be hazardous to your property and yourself. You understand that BIG Life does not require you to participate in ANY activity. You voluntarily assume full responsibility for any risks of loss, property damage, or personal injury, including death, that may be sustained by you, or any loss or damage to property owned by you, as a result of being engaged in such an activities, WHETHER CAUSED BY THE NEGLIGENCE OF RELEASEES or otherwise, to the fullest extent allowed by law. You further AGREE TO INDEMNIFY AND HOLD HARMLESS the RELEASEES from any loss, liability, damage, or costs, including court costs and attorneys’ fees that RELEASEES may incur due to your participation in said activities, WHETHER CAUSED BY NEGLIGENCE OF RELEASEES or otherwise, to the fullest extent allowed by law. It is your express intent that this Waiver and Hold Harmless Agreement shall bind the members of your family and spouse, if you are alive, and your heirs, assigns and personal representative, if you are deceased, and shall be deemed as a RELEASE, WAIVER, DISCHARGE, AND COVENANT NOT TO SUE the above-named RELEASEES. You hereby further agree that this Waiver of Liability and Hold Harmless Agreement shall be construed in accordance with the laws of the State of Texas and that any mediation, suit, or other proceeding must be filed or entered into only in Texas and the federal or state courts of Texas. Any portion of this document deemed unlawful or unenforceable is severable and shall be stricken without any effect on the enforceability of the remaining provisions. IN NO EVENT: (a) WILL PROVIDER’S LIABILITY ARISING OUT OF OR RELATED TO THIS AGREEMENT EXCEED THE TOTAL FEES PAID BY USER TO PROVIDER FOR THE SERVICE; AND (b) WILL PROVIDER BE LIABLE FOR ANY CONSEQUENTIAL, INDIRECT, SPECIAL, INCIDENTAL, EXEMPLARY OR PUNITIVE DAMAGES. THE LIABILITIES LIMITED BY THIS SECTION APPLY: (i) TO LIABILITY FOR NEGLIGENCE; (ii) REGARDLESS OF THE FORM OF ACTION, WHETHER IN CONTRACT, TORT, STRICT PRODUCT LIABILITY, OR OTHERWISE; (iii) EVEN IF PROVIDER IS ADVISED IN ADVANCE OF THE POSSIBILITY OF THE DAMAGES IN QUESTION AND EVEN IF SUCH DAMAGES WERE FORESEEABLE; AND (iv) EVEN IF USER’S REMEDIES FAIL OF THEIR ESSENTIAL PURPOSE. If applicable law limits the application of the provisions of this Section, Provider’s liability will be limited to the maximum extent permissible.